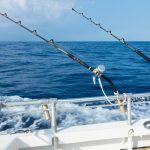 Accidents and injuries on the open water: how are they regulated? Under what laws can you seek compensation? To whom do you turn? Maritime law is extremely complicated, a specialized stretch of legal terrain that makes it difficult for people to maneuver through them. Navigable waters are regulated by state, federal, and international laws – and the complexity can be intimidating, especially if you are dealing with the aftermath of an boat accident in Miami and ongoing consequences of an injury. If you have been injured while on a boat, cruise ship, commercial ship, or even on a dock or marina, it can seem as if you have more questions than answers. We are here to help. The maritime lawyers at the LaBovick Law Group have represented clients injured in boating accidents for more than 25 years. Well-versed in the area of maritime law, we are also fully aware of the impact these injuries can have on your health, finances, and virtually every other aspect of your life. To whom do you turn? You turn to our maritime lawyer team. Your maritime lawyer team. 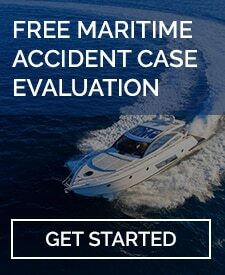 Get started today with a free online boat accident case evaluation. Collide with other vessels or fixed objects. Fail to follow standard boating rules. Decide to navigate in treacherous/stormy weather. Do not carry proper safety equipment on board. Overload the vessel with passengers and/or gear. Careless and Reckless Operation of a Boat: The “willful disregard for the safety of persons or property” is a criminal misdemeanor. As well, operators may be held responsible under civil law for any injuries caused by their behavior. equipment, you may be able to take legal action against the vessel operator, rental company, and/or manufacturer. After you have been involved in a boat accident in Miami or the surrounding area, it is difficult to think about next steps. The adrenaline is pumping, and you may be more concerned that you and your party are in one piece. However, if you can, take photographs and/or videos of the scene and ask witnesses for their accounts. You cannot compel them, but if they agree, collect their names and contact information. As well, keep copies of all law enforcement and medical reports. If you decide to pursue legal action, you will have a solid start on the evidence you need to mount a strong case. But do not feel as if you must do this alone. LaBovick, Law Group’s team of experienced maritime attorneys will assist you every step of the way. From gathering supporting evidence to interacting on your behalf with vessel operators, manufacturers, and insurance companies, we are there to represent your best interests. Boating accidents exist in the legal middle ground between personal injury and maritime law. It is essential that your attorney understand the complexity of legislation and regulations that govern accidents and incidents that occur on navigable waters. While the physical ramifications, and financial impacts, of such injuries are similar to those suffered by those involved in car accidents and other land-based incidents, one cannot ignore the complications that maritime conditions bring into play. As one of Miami’s leading law firms, LaBovick Law Group has a long history of protecting the rights of injured clients and ensuring they receive the compensation they are owed. Contact our team today for a free consultation.